Reliance Industries has divested its 30 per cent stake in an oil and gas block in Peru to Australia's Woodside Petroleum and Pluspetrol of Argentina to trim its overseas properties. The company, in a presentation to investors after the fourth-quarter earnings announcement, said its current international portfolio "comprises of three blocks - two in Yemen and one in Peru." In addition, RIL last month won two offshore exploration blocks (M17 and M18) in Myanmar. "Reliance Exploration and Production (REP) DMCC, a wholly owned subsidiary of RIL, has completed divestment transaction of Block 108 in Peru through assignment of its entire 30 per cent participating interest to existing partners," the company said in the presentation. Dubai-based REP DMCC was founded in 2007 and had steadily acquired 15 conventional oil and gas assets, including four in Peru, three in Yemen (one producing and two exploratory), two each in Oman, Kurdistan and Colombia and one each in East Timor and Australia. RIL has given up most of the blocks due to poor prospects. Sources said RIL had built up a presence in the Latin American nation of Peru in 2008. 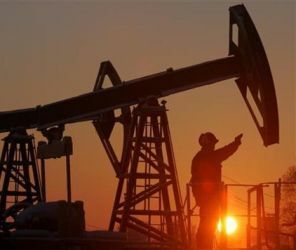 In May that year, it acquired the 30 per cent stake in Block 108 from Argentine oil and gas firm Pluspetrol, along with Woodside Petroleum, which bought 20 per cent. Pluspetrol, which had picked up the block that lies north of the Camisea gas field in 2005, held 50 per cent. A month earlier, RIL had acquired Irish hydrocarbons producer Pan Andean Resources' 90 per cent stake in block 141 in Peru. Pan retained 10 per cent. On June 29, 2008, RIL acquired a 10 per cent stake in Lot 39 in northern Peru from Burlington Resources Inc.
Three months later, RIL won the rights to explore for gas in Block 155, next to the border with Bolivia, in partnership with China National Petroleum Corporation and Pluspetrol. RIL has exited a dozen properties during the past couple of years and the Myanmar acquisitions last month were its first recent overseas forays in conventional oil and gas. RIL had in this period acquired interests in three shale gas ventures in the US, which earned the company revenue of $893 million and pre-tax profit of $659 million in 2013-14, according to the presentation.